Bitcoins have exploded in popularity and are currently receiving a huge amount of attention. If you’re using Bitcoins in your business, you may be confused about your tax position. In this short guide we’ll give you the lowdown on Bitcoins and tax. Bitcoin is a decentralised, electronic currency. This means it’s not controlled by a central bank, and it doesn’t exist as a physical currency. Despite these subtle differences, it acts in a manner similar to a regular currency: you can exchange your money for Bitcoins, and vice versa, in much the same way you do when travelling overseas. You can exchange Bitcoins by using either an exchange or by trading directly with another individual. Once you’ve purchased your Bitcoins, they’re stored in an electronic wallet, ready for you to spend. Similarly, people can purchase goods and services from you by transferring Bitcoins from their wallet to yours. You can find out more about Bitcoins here. HMRC have recently updated their tax guidance in light of the growing popularity of Bitcoin. They’ve taken a very pragmatic approach and Bitcoins are treated in the same way as an other non-sterling currency. Buying and selling Bitcoins, and any commission payable on the exchange, is exempt from VAT. However, regular VAT rules remain when you’re supplying goods and services in return for Bitcoin. In this case, you must calculate and charge VAT on the sterling value of the Bitcoin at the time the transaction takes place. For example (based on the exchange rate when this article was written) if you raise an invoice for 1.3BTC (BTC means Bitcoin), you must calculate VAT on a value of £457. If your company purchases Bitcoins and later uses them to buy goods or services, any increases or falls in the exchange rate will count as a taxable income or a loss. Also, if your company makes a profit or loss from dealing in Bitcoins, it counts as a capital gain – which is subject to corporation tax. As an individual tax payer, you do not pay income tax on exchange rate profits from personally held Bitcoins: instead they are subject to capital gains tax. If you personally buy and sell Bitcoins, the gain (or loss) is subject to capital gains tax, and is calculated using regular capital gains calculations. For example, if you purchased 5BTC for £2,285 and later sold them for £3,185, your capital gain is £900. If your total gains, minus losses, exceeds your annual tax-free allowance then you must pay capital gains tax on the gain. Thinking of accepting payments, investing or buying and selling Bitcoin through your limited company? 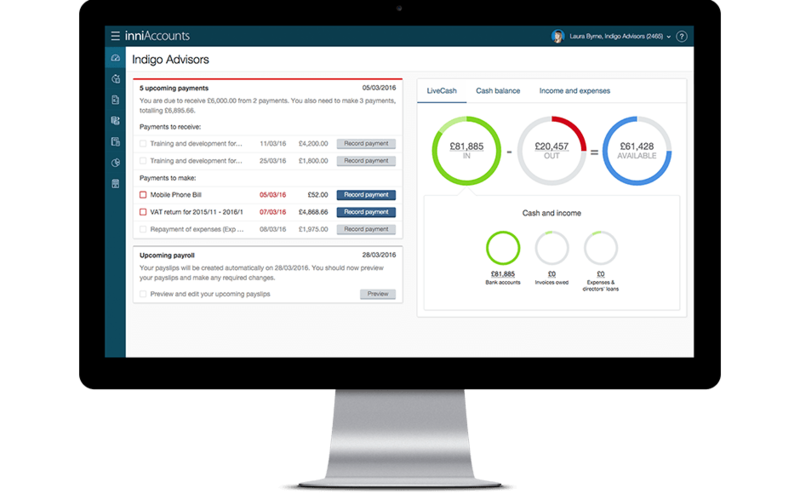 With our highly trained accountants and industry leading software on hand, it’s never been easier. Why not take a look at how we can help your Limited Company? You can find more information about Bitcoin mining here. However, due to its nature, we are currently unable to offer support to those ‘mining’ Bitcoins through a Limited Company. Hi, I was wondering, what’s the stance on bitcoin mining? We’re researching this at the moment. The challenge is around energy costs, which is significant for mining. There is a VAT implication as domestic energy is VATable at 5% and commercial energy is 20%. We’ll be posting a blog post shortly with all of the details. Hi, is there any update on the stance for bitcoin mining yet? We have a client mining bitcoins and are struggling to find information on the correct way to account for the income. How’s life in SJD towers? Please do let your client know that we’re putting the finishing touches to the article and we’ll be publishing it next month. If I purchase 100 BTC and then use it as my usual currency for buying goods, am I expected to calculate any Sterling gains that I may have made at the time of each purchase (for example ever time I purchase a cup of tea, video game or even car), and then use this to calculate whether I may be liable to pay Capital Gains Tax? Being as your article states that Bitcoin will be treated as any other non-sterling currency, this suggests that I can use BTC without worrying about CGT? Whether the treatment of income received from and charges made in connection with activities involving Bitcoin are subject to Corporation Tax, Income Tax, Capital Gains Tax or not taxable depends on the activities and parties involved. It’s not clear Nick if you’re trading either as a sole trader or limited company or as an individual wanting to use Bitcoins. If you’re looking as an individual just to effectively hold a Bitcoin account to use personally, this would be treated the same as a foreign currency account. If this is the case then there is no liability to tax and CGT would not apply. For businesses, any transactions need to be included in the accounts in the currency they are prepared in (i.e. sterling) and the overall exchange rate gain/loss included in the profit and loss account in the same way that foreign currency exchange rate differences are accounted for. This is then liable to Corporation Tax, or Income Tax for unincorporated businesses, in the usual way. However, if there is dealing in Bitcoins and the profit or loss on a currency contract is not within trading profits then they would be taxable as a Capital Gain or allowable as a loss for CGT. What about providing services for which I accept bitcoin as payment. I have an agreement with some of my foreign clients now that bitcoins would be much easier for them to pay for my services. It’s instant, avoid forex exchange rates, and insane bank charges. When being paid in Bitcoins and other crypto currencies then you would need a record of the holdings and report any fluctuation in value as at your financial year end. The crypto currencies can be reflected in £GBP as they will have an open market value at the date the transaction occurs and at the year end.